Back in November Reuters reported that that the Golub Corp was in "advanced talks" about a potential sale of the Price Chopper/Market 32 supermarkets to Albertsons, the huge chain of chain based out west. And now this week the supermarket trade publications are reporting the deal is off. However, we were told that, just before 2016 ended, Albertsons elected not to pursue the Price Chopper purchase, opting instead to prioritize its effort to take the company public, something it first announced 18 months ago. Price Chopper engaged the advisors last year as it sought additional capital investment for the purpose of funding the ongoing transformation of its stores from the Price Chopper banner to the Market 32 concept it introduced in 2014. Price Chopper has said that initiative would cost about $300 million over five years to convert roughly half of its 135 stores. Sources told SN this week it was likely that Price Chopper would continue to seek avenues for new investment but that a strategic acquisition was unlikely with Albertsons off the table. The Madison Ave location in Albany, one of the company's small-format stores. One of the big local news stories this week is the Reuters report that the parent company of Price Chopper is in "advanced talks" for a billion-dollar sale of the supermarket chain to Albertson's, a huge chain of chains headquartered out west. The Reuters story is based on unnamed sources, and the central players are no-commenting it. (Neil Golub was a little more pointed in not addressing the story.) But the idea that the Golub Corp has been exploring some sort of sale or deal for Price Chopper/Market32 has popped up recently, most notably in a report in the trade journal Supermarket News this past August. And it fits with the overarching trend of consolidation withing the supermarket industry. The much discussed Delaware Ave store in Albany. I'm the CEO of a supermarket chain that just announced it's changing its name -- ask me anything. OK, that's not exactly how Golub Corp CEO Jerry Golub introduced himself on Facebook Friday afternoon. But the huge FB thread -- more than 500 comments -- took on an AMA-style feel with Golub fielding questions and comments about Price Chopper's impending name change and modernization campaign. Jerry Golub: We will also be updating our smaller and urban stores. The first will be our Delaware and Madison Avenue stores beginning early next year although they won't be getting the complete Market 32 identity right away. 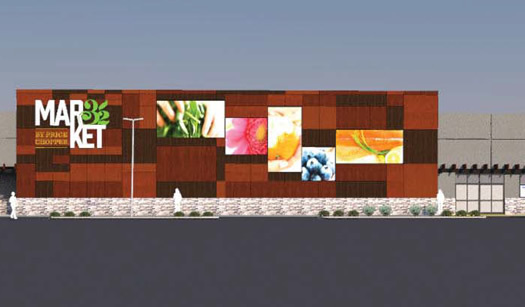 We want to introduce the complete Market 32 concept in the larger stores and then apply it to the smaller stores. Update: We checked with a Price Chopper rep about the updates planned, and specific details aren't ready to be released yet. 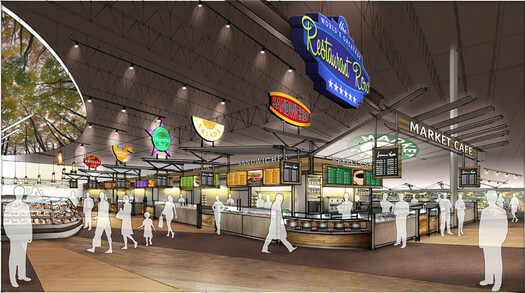 But the planned updates were described as part of the chain's overall modernization effort. Everybody eats. And (pretty much) everyone shops for food. So the news that Price Chopper is changing its name to Market 32 prompted a lot of reactions, even more so because the company is a local institution. For a while on Tuesday our Twitter feed was jammed with people commenting, criticizing, cracking jokes about the change. It was the topic of the day at the virtual water cooler. Here's a quick collection of a bunch of those tweets. 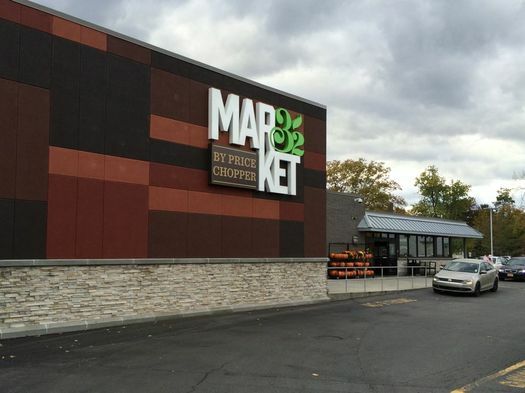 Price Chopper's parent company announced Tuesday morning that it's rebranding as "Market 32," part of larger campaign to modernize its stores. The "32" is reference to the chain being founded in 1932. The company says the new stores will have "expanded food service options,	an	enhanced product mix and a re-emphasis on customer service." 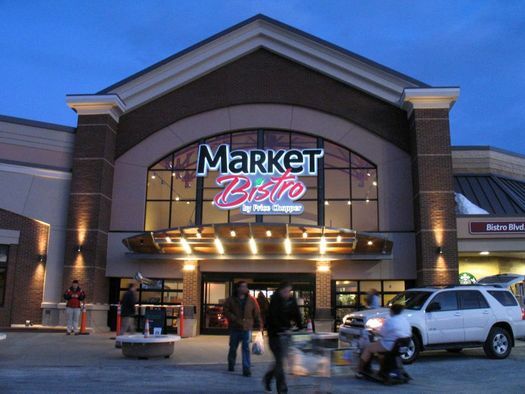 "Market 32 combines what we are hearing from our customers and what we are learning at Market Bistro with some of the best thinking in the retail industry, and will focus on delivering a distinctively different shopping experience to our customers. Our stores will meet customers' needs today and for decades to come. Most importantly, though, we will continue to offer great value for great food and service," said Jerel Golub, Price Chopper's president and CEO. That the Golub Corp, PC's parent company, is looking to up its game chain-wide isn't surprising. The supermarket industry is famously competitive and intense. The new Price Chopper Market Bistro -- the company's long-planned concept store in Latham -- is just about ready for its grand opening. But you can check out much of what's new right now, as we did this week when we got a tour. There's been a lot of change in the Capital Region supermarket scene over the last few years -- a lot of new stores, new competitors, new upgrades. But it's not a stretch to say that there is nothing else like Market Bistro in this area. Here's a quick photo tour and a few bits. Price Chopper gets its lobsters from Canada, via a Cape Cod-based company called, appropriately, Lobster Trap. 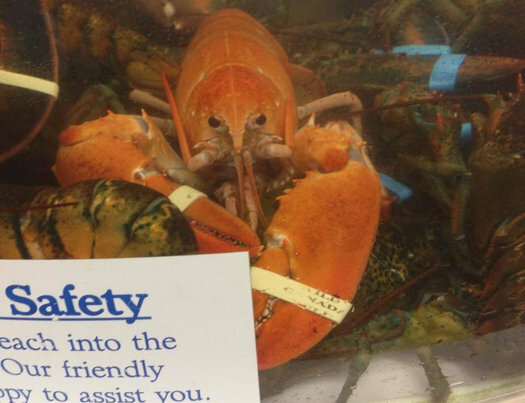 A PC spokesperson tells us that the company's VP of seafood merchandising has never seen an orange lobster in his 17 years with the supermarket chain -- and their contact at the Lobster Trap has only seen one in 33 years. After implementing a corporate-wide policy that limited the doubling of coupons "up to 99 cents," Price Chopper failed to disclose this restriction in its advertisements leading consumers to believe that $1.00 coupons would be doubled. Prior to this corporate policy, Price Chopper's double coupon policies had previously varied from store to store. A number of stores doubled coupons up to $1.00 whereas others restricted the face value of coupons that could be doubled. Coupons draw consumers into stores with valuable offers, leading to the purchase of other goods. Restrictions on double coupons, which can make a significant difference in savings, must be clear to consumers who shop on a budget. In just April and May of 2012, Price Chopper shoppers redeemed 34,616,602 coupons valued at $.99 or greater; approximately 8 million of these were valued at $1.00 or more. The AG's office says that as part of the agreement, Price Chopper is "required to clearly and conspicuously disclose any face value limits on coupon redemption." It will also pay the state $100,000 in penalties and costs. 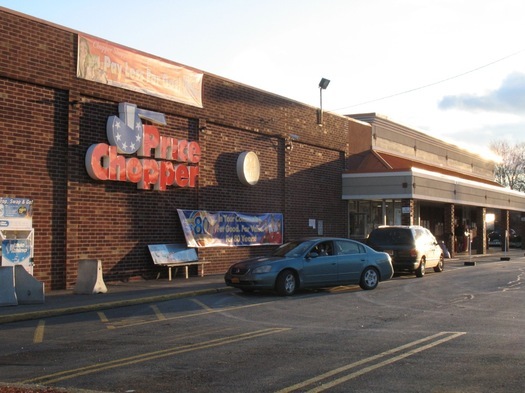 We were appalled and disappointed by the inflammatory press release distributed earlier today by the New York State Office of the Attorney General (OAG), as its portrayal of Price Chopper's conduct is false, misleading and inaccurate in significant respects, and is not supported by the Assurance of Discontinuance (AOD) to which Price Chopper agreed. In fact, contrary to the Press Release, the AOD makes no assertion that Price Chopper acted intentionally to harm consumers or that its practices caused any losses, let alone millions of lost savings to its customers. We've been in direct contact with the OAG to express our concerns and are awaiting their response. What the OAG actually asserts in the AOD is that Price Chopper inconsistently denoted in its advertising the dollar value limit of its double coupon policy during select weeks in June 2011, January 2012 and April 2012 in Syracuse and Cortland, NY. Our decision to sign this agreement was reached after considering the likely cost of alternative actions, and because settling the matter will allow us to focus on serving our customers, including offering double coupons up to $.99 in all 130 of our stores. Update: Here's the "assurance of discontinuation" from the state AG's office, as posted by the Syracuse Post-Standard. 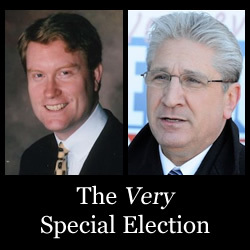 It makes the AG's office's issues with Price Chopper a bit more clear. The bulk of its complaint is an allegation that Price Chopper didn't note double coupon restrictions in some of its print ads, and that the policies posted at some stores differed from what was posted on the company's website. Tucked between the rotisserie and the deli. With a new ShopRite right across the street, the Slingerlands Price Chopper has upped its game. 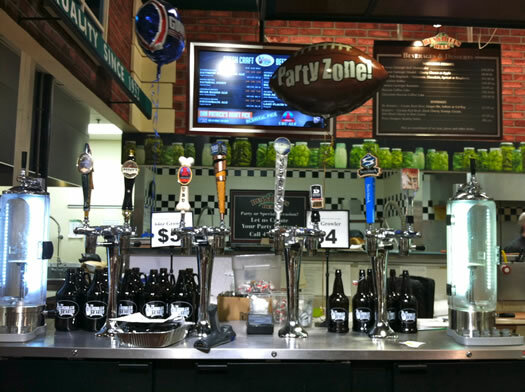 Among the upgrades at the remodeled store: a Growler Station Express. It's pretty much what it sounds like -- a counter in the prepared foods section for getting growlers filled with craft beer. And it's the Chopper's first test of the concept. It's Supermarket Week again on AOA. 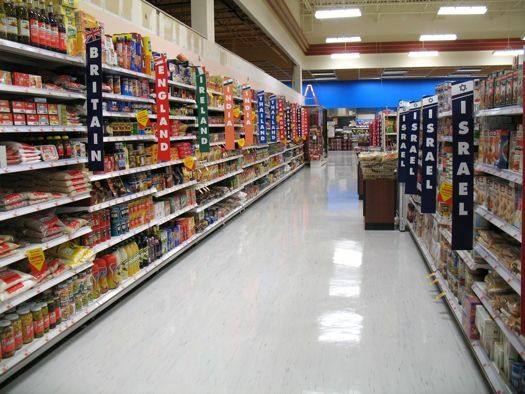 All this week we'll have posts comparing, thinking, and talking about supermarkets. Hey, we all have to eat. Yes, that grand tradition -- the Supermarket Showdown -- has returned. As we have for the past (gulp) four years, we price checked a basket of items across the local supermarket chains. 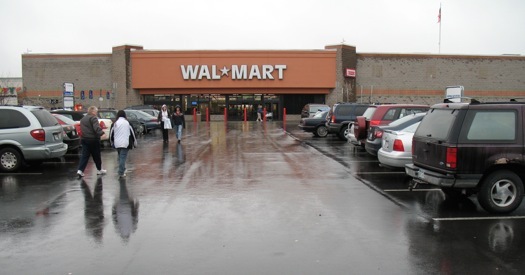 Can it unseat Walmart, the four-time defending champ? And how have the other two players reacted to its arrival? 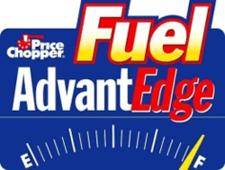 Price Chopper announced today that it's discounting its gasoline discount program (press release post jump). We have had an overwhelming number of customers tell us that they want to save more money on food. We are lowering prices all over the store and our ads will be hotter than ever. ... We will also be offering even more ways to earn fuel rewards in our ads though the purchases of specific products...Check it out this Sunday! It's fair to say the change wasn't going over well with people there (understatement). The gasoline discount isn't some sort of fundamental human right. The company doesn't owe it to anyone. But it did help mitigate Price Chopper's often higher non-sale prices (though not necessarily enough to bring them in line with competitors). It'll be interesting to see if the change actually does result in lower food prices -- and in what way (sales, coupons, whatever). We can safely report: it's a modern supermarket. 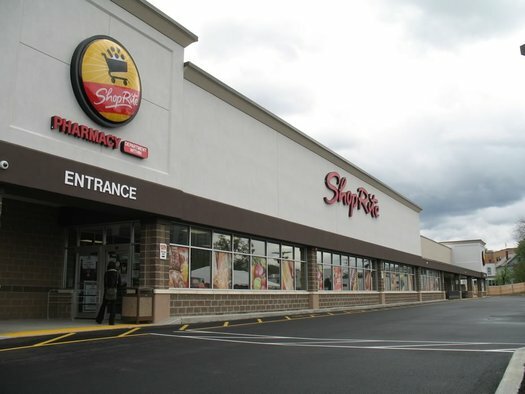 The new Albany ShopRite opens this Thursday. If the opening of the Niskayuna location is any indication, the scene will probably be a zoo. 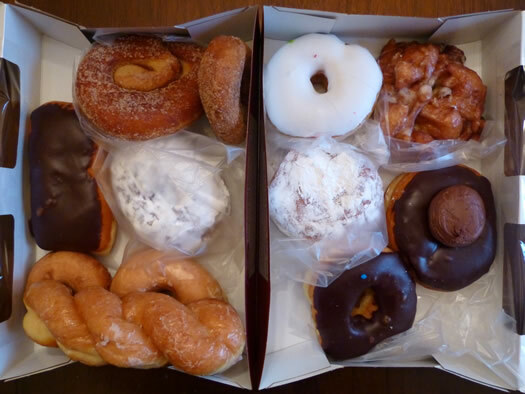 Such is the product of the Capital Region's apparent supermarket obsession. We were invited to check out the new Albany store today, and went for two reasons: 1) to gawk at perfectly stocked aisles and 2) to maybe find out why ShopRite has decided to build four stores in the Albany area -- and why now. 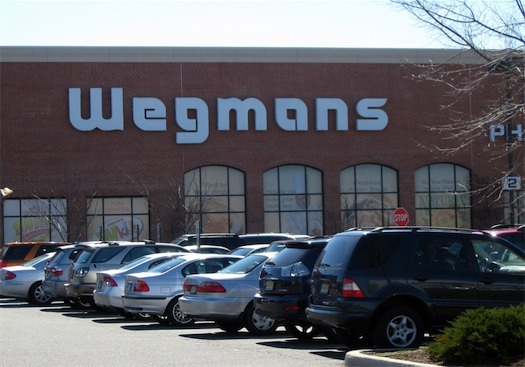 Not surprising: Wegmans was again the #1 ranked supermarket in Consumer Reports annual survey of its readers with a score of 88. Number two? Trader Joe's (again) with a score of 86. Fresh Market wasn't included in the rankings. CR says the survey is a measure of "overall satisfaction" -- and differences of fewer than five points in a supermarket score are not meaningful. Also: "These findings represent the experiences of our readers, not necessarily those of the general population." About Trader Joe's... A few people have asked if there's an opening date, yet. As of two weeks ago, the company said it still didn't have a date. Updated at 3:30 pm after hearing from Wakefern/ShopRite. We noticed the ads last week while looking up some stuff about Price Chopper. 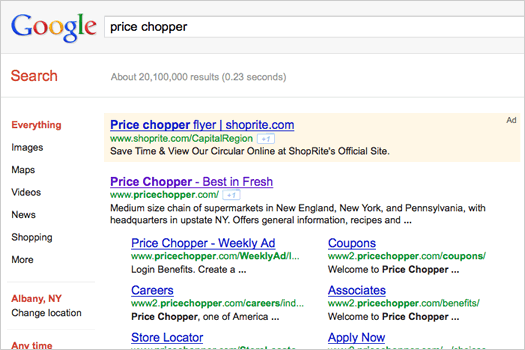 A search for "Price Chopper" on October 20 returned the regular search results -- and at the top: a text ad for ShopRite. We took a screengrab (above) and figured we might eventually use it as evidence in what appears to a supermarket war that's starting to heat up. 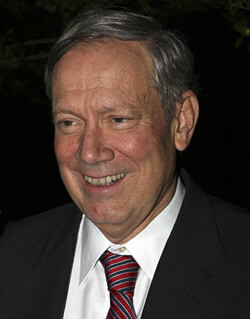 Upon information and belief, Defendant Wakefern has infringed Plaintiff Golub's registered mark in interstate commerce by various acts, including purchasing keywords including or relating to the PRICE CHOPPERÂ® mark and engaging in Internet advertising campaigns using the PRICE CHOPPERÂ® mark, to sell, offer for sale and advertise Wakefern's retail grocery goods and/or services. 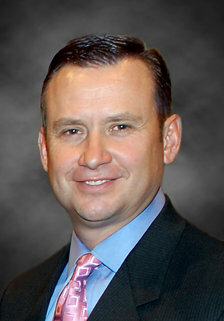 Defendant's use of the PRICE CHOPPERÂ® mark is without permission or authority of Plaintiff Golub and such use by Defendant is likely to cause confusion, to cause mistake and/or to deceive. Golub alleges Wakefern also bought similar ads on Bing and Yahoo (and it includes screengrabs in the filing). 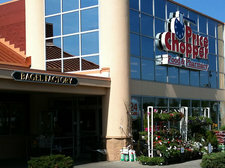 To access Shops4U, Price Chopper customers simply go to the online ordering tab on www.pricechopper.com and pull down the menu for Shops4U. Once they register, customers can pick and choose from among tens of thousands of food items carried in their local Price Chopper store. 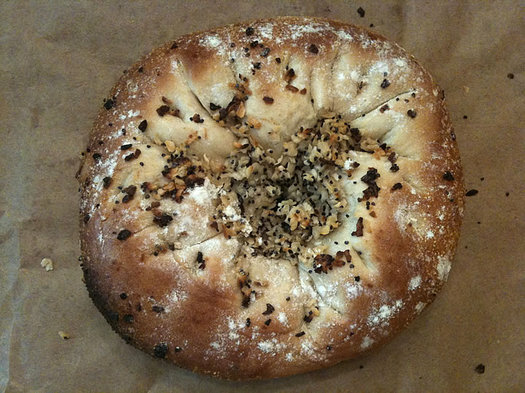 Orders can be picked up at the store or delivered to homes, offices or community gathering spaces in the Niskayuna area. In addition to the online component, Shops4U also allows customers to interact with specially trained Price Chopper teammates who will go through the store to select the best in fresh meat, produce and seafood, along with bakery and packaged grocery items. When a customer places an order online, the pick-up time is indicated. The order will be selected and ready at that time for pick up. The customer need only drive up to the designated pick-up parking spots in front of the Niskayuna store and call the phone number indicated on the sign there. The grocery order will be brought out to the car, where the guest can pay by credit card and drive off, without ever having to leave the car. Delivery orders will be brought to the home, business or community gathering space by Price Chopper's professional delivery staff within a designated time period. The service costs $10, plus another $5.99 for delivery (with a discount for the first order, and every fifth order after that). The full press release is pasted after the jump. The company says it plans to eventually extend the service to all of its stores. 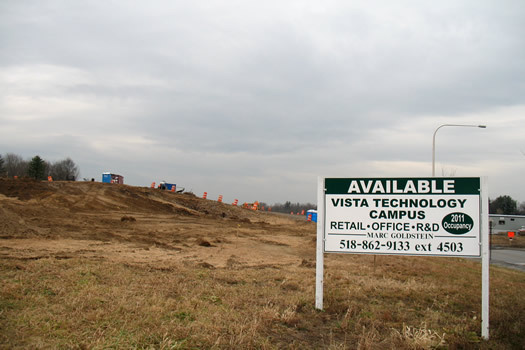 In what is almost surely not a coincidence, Shops4U is rolling out just before the planned grand opening of the new ShopRite in Niskayuna on October 2. And what's one of the services ShopRite's been touting: "ShopRite from Home," an order ahead and delivery service. We're not buzzing with excitement over ShopRite coming (back) to the Capital Region -- but if it can prompt competition with the players already here (especially on price), that's not a bad thing. 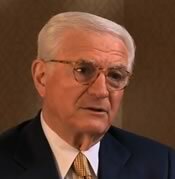 While perusing Progressive Grocer recently*, we came across this interview with Neil Golub, the CEO of the company that owns Price Chopper. + Ben and Bill Golub, who had been in the wholesale food business in Schenectady, set up their first retail store after checking out a market on Long Island in 1931. + The company changed the markets' name to Price Chopper in 1973. It also made the switch to being open 24/7. Golub says sales went up 30 percent after making the switch to being always open. The interviewed is embedded above. And here's more on Price Chopper's history from its website. * What, you're not reading Progressive Grocer? 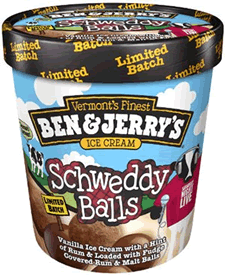 Ben & Jerry's has a new flavor: Schweddy Balls. You've probably heard. It's been all over the interwebs. It's inspired (if that's the word) by the famous SNL in which candy maker Pete Schweddy (played by Alec Baldwin) brings his "Schweddy Balls" to an NPR food show (it's embedded after the jump). Said a Ben & Jerry's spokesman to Time about the name: "The name is irreverent. But we've always been about having some irreverence and having some fun ... We're not trying to offend people. Our fans get the humor." The Ben & Jerry's scoop shop on Lark Street in Albany says the flavor is currently available there (it was sold out as of the evening of September 12). The RPI scoop shop says it might have the flavor this weekend. And the Saratoga shop says maybe by the end of next week. The price for one of the glass bottles: $1.39. Soda snobs have long touted the superiority of Mexican Coke -- made with sugar from sugar cane -- over the domestic swill, made with high-fructose corn syrup. It was once hard to find in the US (you could often score it at places like taquerias in the Southwest and California), but a Costco started carrying it a few years back. 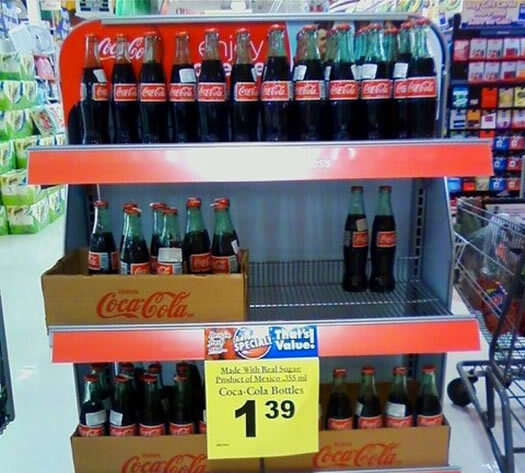 And recently it's spread to more big box stores and supermarkets (apparently with Coca-Cola's blessing). This is the first time we've heard of it being carried in a Price Chopper or Hannaford. (Daniel spotted some during the opening of the new Fresh Market in Latham.) 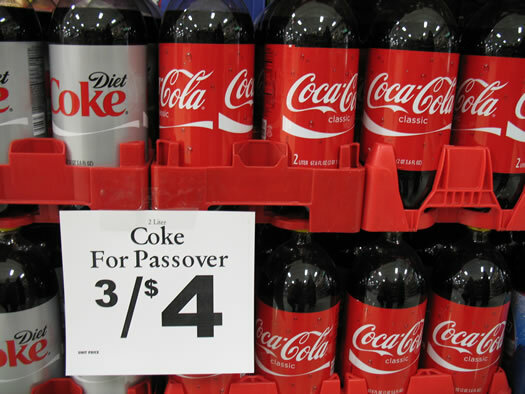 Until now, Coke drinkers looking for the good stuff had to wait for the kosher-for-Passover version. Earlier on AOA: We enjoyed a Mexican coke with our taco from Tortillaville in Hudson. Price Chopper announced today that it will be selling fish raised by Local Ocean, the indoor aquaculture company near Hudson. 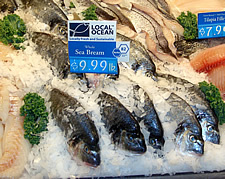 It's touting the fish -- sea bream -- as locally-raised and sustainable. Seafood stocks all around the world are under pressure from overfishing. Traditional fish farms have stepped up production to meet demand, but they've come under criticism for their environmental impact. That has some people hoping that indoor fish farms will provide a viable -- and more sustainable -- alternative. Price Chopper says the Local Ocean fish will be available in six stores Hudson, Shoppers World in Clifton Park, Loudon Plaza in Latham, Bethlehem, Niskayuna and Saratoga Springs (Route 50). It'll be $9.99 a pound. 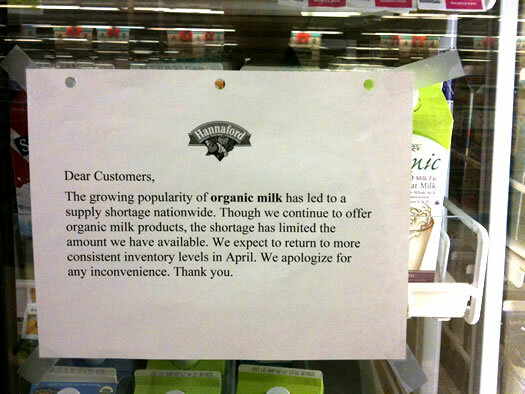 We noticed this sign and cart when we walked into Hannaford on Central Ave in Albany the other day. 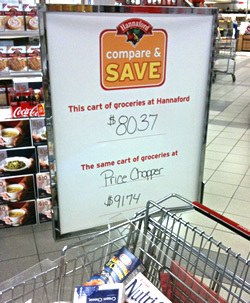 It touts how much you could have saved if you bought the cart of items at Hannaford instead of Price Chopper. The items in the cart included stuff like macaroni and cheese, Nutrigrain bars and peanut butter. Of course, Hannaford is going to set this up so it can come out on top. It proclaimed that the Chopper's "cart" was 14 percent more expensive. Price Chopper could probably pick its own cart and come out cheaper than Hannaford. When we did our annual price check of 40 items last year, we found that Price Chopper was about three percent more expensive than Hannaford. They were both more expensive than Walmart. 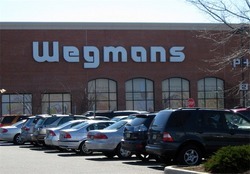 Also: Here's another bit to stoke the rumors about Wegmans and the Capital Region. Those 10 cent discounts build on each other -- so if you spend $150 at the Chopper, you get a 30 cent/gallon discount on gas. 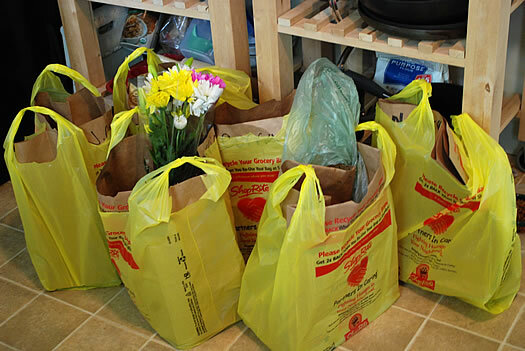 The grocery totals add up over the course of 90 days -- tracked by your AdvantEdge account. You can "spend" your accumulated discount on a single gas purchase of up to 20 gallons. At least, that's how we think this works. It's pretty easy to spend $200 at the Chopper over the course of a month. That would lead to a 40 cent/gallon gas discount. Depending on the size of your car, that could mean a discount of $4 or more on a fill-up. So this could be a good deal with you're already a Chopper regular. But if you're not, you'd probably save more money overall by shopping at Hannaford or Walmart. That's green as in eco-friendly. The outside is actually sort of a tan color. 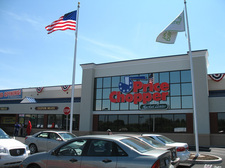 The new "green" Price Chopper officially opened today in Colonie. The Golub Corporation is touting the location as "the most advanced Green Store in the entire Capital Region." OK, consider us interested. So we checked it out. Consumer Reports has released supermarket rankings based on a survey of thousands of its readers (you need to be a CR subscriber to see the whole list). 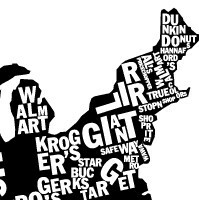 And the results are going to cause people in the Capital Region with already-established supermarket envy turn even a few more shades green. The only thing missing is a monorail. Price Chopper has a great deal on GE Energy Smart CFL bulbs from now until the end of the year. Single bulbs are only $1.99 (with AdvantEdge card, of course). The Chopper usually sells them for $6.49. Even at a big-box discount store like Target, they're usually about $5.50 for a single bulb. 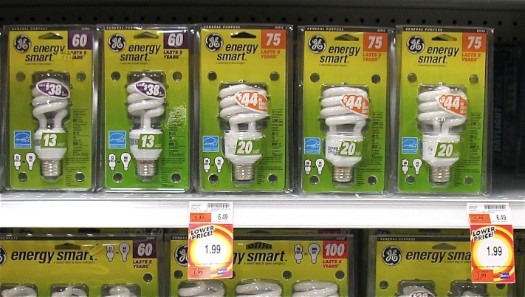 Even the Wal-Mart six pack isn't as cheap per bulb. We've used a bunch of these bulbs in the past, and as CFLs go, they give off pretty nice light. And now they're a bargain. 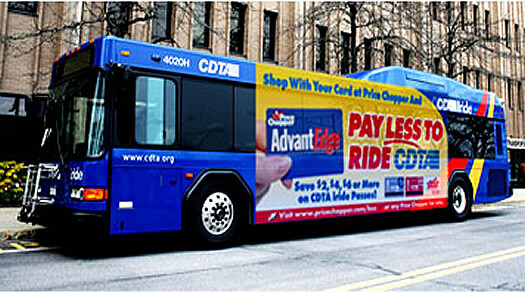 We used our AdvantEdge card and saved an extra 8 cents. You asked and we found it! Price Chopper is carrying it in the special Passover sections at their larger stores. We scored our supply at the Chopper in Slingerlands. What's the big deal? Well, normal Coke is made with high fructose corn syrup, which makes it not kosher for Passover. It also, according to soda snobs, makes Coke taste not quite right. 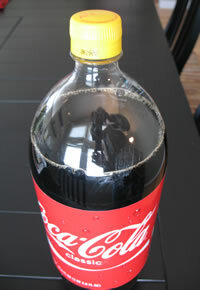 Kosher for Passover Coke, on the other hand, is made with cane sugar (like Mexican Coke) and is said to be smoother and have a cleaner finish. It also has notes of cinnamon and caramel and pairs nicely with pretzel twists. How do you know if you're getting the good stuff? Look for the tell-tale yellow cap (see right). And check the ingredients, which will list "sucrose" instead of high-fructose corn syrup.